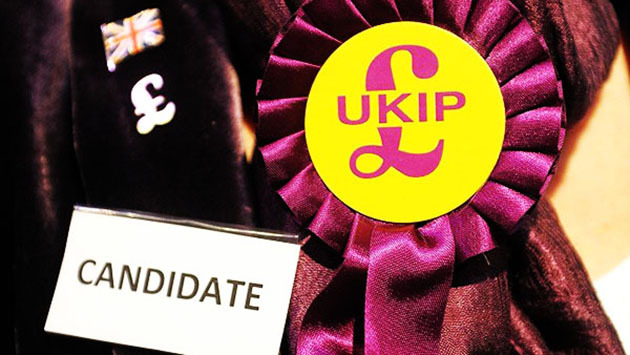 TheBlueGuerilla: EXCLUSIVE: UKIP Election Crisis Hits Hampshire. UKIP in the Hampshire Borough of Havant are in total chaos as regards candidates for the forthcoming local elections after it emerged Chairman Steve Harris told its AGM last week that after contacting many of last year's candidates, only three have pledged to plough on, TBG can exclusively. One sensationally had a go at Mr Harris saying that even if he had got elected he would have resigned straight away. To date the party have two candidates, sources say the Branch Chairman even requested his relatives to come forward as paper candidates. Ironically, one of the candidates shouldn't have even been on the agenda because the area, Waterlooville, isn't even in the constituency. Try telling Mr Harris that.